Amazon Web Services AWS Cloud course is designed for students and IT professionals who want to pursue a career in Cloud Computing or interested in managing highly-available and fault-tolerant enterprise and web-scale software deployments.This is also useful for those who want Project Experience in migrating and deploying cloud based solutions and DevOps professionals. Amazon Web Services AWS Cloud, a subsidiary of Amazon.com. 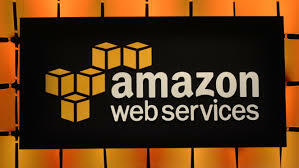 Amazon Web Services (AWS) is a comprehensive, evolving cloud computing platform provided by Amazon.com. Amazon Web Services (AWS) is a bundled remote computing service that provides cloud computing infrastructure over the Internet with storage, bandwidth and customized support for application programming interfaces (API). Launched in 2006, AWS is provided by cloud solution concept pioneer Amazon Inc. Amazon’s internal IT resource management built (AWS), which expanded and grew into an innovative and cost-effective cloud solution provider. There are no specific prerequisites for this course. Any professional who has an understanding of IT Service Management can join this training. There is no programming knowledge needed and no prior AWS experience required. Snowball, snowball edge , snowmobile concepts. What is Amazon Web Services (AWS) ? What is AWS cloud training cost ? AWS cloud training cost is around 12 k + GST. Can we get AWS Hands on or Virtual Lab in this training? Yes you will get virtual set up. Is this syllabus help me for Certification for AWS ? Are you giving hands on training on AWS ? Yes we are giving hands on training on AWS . Are AWS training videos avaialable ? Yes AWS training videos available. Are AWS online training available in your institute ? Yes AWS online training is available in our institute. Do you provide AWS tutorials for beginners ? Yes we are providing AWS tutorials for beginners. This table shows all the upcoming batches for the month of February 2019. For upcoming batches of Amazon Web Services AWS Cloud Training and Certification exam dates, feel free to contact us at 89569-30893 or 9595805895 Or email us at enquiry@focustraining.in . You can also fill up this enquiry form with your information and we will get back to you soon. Will See you soon in center, Happy Learning!! !